They're on the front lines of the tech-infused school day, so teachers are a great resource for parents of middle and high schoolers trying to manage tech and media at home. “No TV until your homework is finished” used to be the easiest way to separate school work from screen time. Today, with IMs, YouTube, texting, and social media, that boundary is super blurry. And because middle and high schoolers often have media and technology as part of their lessons and take-home assignments, it’s tough for parents to know where to draw the line. Fortunately, the folks whose job it is to prepare kids to take on the world (including the digital one) know all about managing screen time, multitasking, online privacy, and even using tech tools at home. And they know your tweens and teens pretty well, too. Teachers — who are on the front lines of the tech-infused school day — are experts at helping families manage this stuff so that kids can learn. Here are the questions teachers wish you’d ask about the issues that affect students the most. How much non-school-related screen time should I allow on a school night? Rather than allotting a certain amount, first list out everything your kid needs to do in a 24-hour period. Assign a time limit for each activity — for example, 30 minutes for chores, one hour for physical activity, 45 minutes for reading, 20 minutes for dinner, etc. Don’t forget to add 9 to 12 hours for sleep! In the remaining time, figure out how much can be used for screen-based entertainment. It will probably vary throughout the week. Try the American Academy of Pediatrics Family Media Plan to calculate a schedule that works for your family. How can I curb my kid’s multitasking during homework? In the classroom, teachers who use tech often have to personally monitor students to make sure they’re focusing on work, not fooling around on their devices. At home, it’s a good idea to reduce or eliminate multitasking because it really takes a toll on learning — and and drags out homework duties. Set up a homework zone in a common area where you can keep an eye on their activities. Make it device-free if possible — although sometimes kids legitimately need them for study apps or for checking assignments. Keep devices out of the bedroom, because texting and sleeping is about the worst multitasking kids can do. If they have to use devices and you can’t closely supervise, consider downloading a parental control app that limits access to entertainment during homework, such as unGlue. You can also enable Restrictions or Guided Access on iPhones or use Google’s Family Link on Android devices to help keep kids on task. But you’ll probably still need to spot check. What do I need to know if my kid has to download an app or register for a site for homework? What should I do if I find out about cyberbullying by kids in your class? Teachers definitely want to know if there is cyberbullying happening. Ideally, kids are learning about digital citizenship either on its own or in the context of their instruction (for example, a team project using Google Docs that students have to collaborate on), so it should be something that is discussed and dealt with. Tell the teacher — or have your kid report it — so it can be worked out using the school community’s conflict resolution methods, just like any other problem affecting students. Teachers can keep an eye out for more of this behavior in school. They should also have clear systems in place to monitor and moderate any class activity online for inappropriate behavior or bullying. 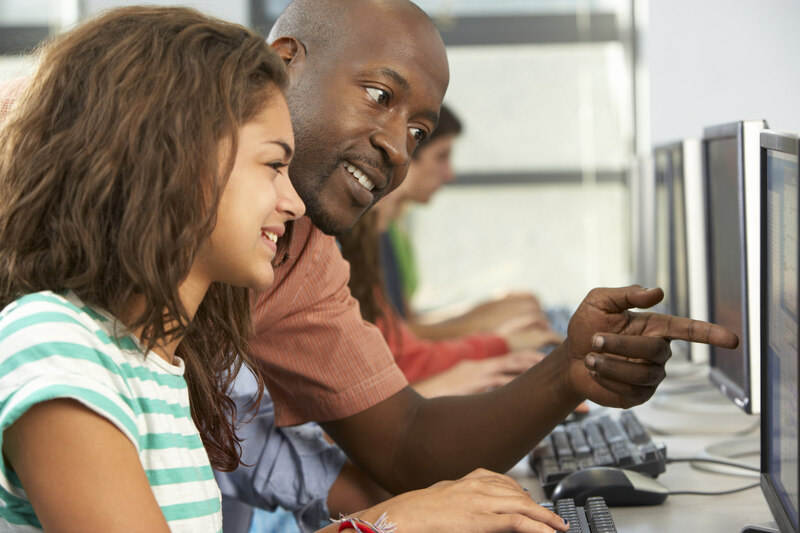 How can I use technology at home to support in-class learning? Should School be a Screen Free Zone?